In my experience, two kinds of people go to the gym. One group goes because exercise is good for them, and the other goes to push their physiological limits and maximize the potential of their bodies. Of course I understand that a huge gray area lies between, but once you take a good hard look at someone&apos;s training, diet, and supplementation habits, they usually fall clearly into one of those two camps. Many of the intricacies of nutrition and training don&apos;t matter as much to a health-focused gym-goer; the mere fact that they&apos;re training is the most important thing. The second group is on the hunt for optimization. They&apos;re looking for ways to eke out another 3, 7, or 12 percent increase in their results. If you&apos;re strugging to squeeze every ounce of effectiveness out of your diet and training, then this article is for you. I&apos;ll be honest: These strategies won&apos;t make or break your physique. However, they can help you get bigger and stronger alongside a rock-solid training plan and diet. Practice them consistently for months, and they may make just the difference you&apos;ve been looking for. If you&apos;re the type of person who anxiously waits for your next brutal leg-training session, rather than dreading it, then getting enough protein in your diet probably isn&apos;t an issue. Getting too much protein too often might be. Muscle protein synthesis is like weight training: It works best when it cycles between periods of intensity and recovery, rather than a constant bombardment. When you eat a protein-rich meal, amino acids rush to your muscles. The amino acid leucine heads to the heart of your cellular machinery and flips the muscle-building switch. However, research shows that if you keep leucine levels constantly elevated from food, you don&apos;t get further enhancement of protein synthesis. You need to let your blood amino acid levels drop before you can increase them again to re-initiate protein synthesis. So eating every two hours isn&apos;t helping you to stay anabolic. It might hinder you. Put it into action: Spread your meals out at least every 3-4 hours to allow the ebb and flow of your blood amino acid levels needed to optimize protein synthesis occur. This might seem to contradict what I just said about meal timing, but stick with me. Spacing out your meals so you can achieve the blood amino acid peaks and valleys should be a foundational strategy in how you structure your meal schedule. However, you can effectively upgrade this approach by taking advantage of the speed of digestion afforded with free-form amino acids. Research has shown that when taken between meals, free-form essential amino acids can stimulate protein synthesis without interfering with stimulatory effect of meals. How does this work? Supplemental amino acids are absorbed rapidly, causing a quick spike and decline in blood amino acid levels. And they&apos;ve been shown time and time again to be effective at helping add muscle. "Spacing out your meals so you can achieve the blood amino acid peaks and valleys should be a foundational strategy in how you structure your meal schedule." In a 2009 study, untrained older women who supplemented with essential amino acids twice per day between meals—a total of 15 grams of amino acids per day—gained on average just less than four pounds of lean body mass after three months without exercising. This study makes a powerful case for the efficacy of amino acids between meals in older sedentary individuals, but it also shows that chronically increasing protein synthesis between meals with supplemental amino acids can provide measurable results. Put it into action: Take an amino acid supplement that will deliver at least 2.5-3 grams of leucine per serving either as a snack or between meals. While research studies commonly use essential amino acids, for our purposes branched-chain amino acids are more readily available, cost-effective, and similarly effective. Eating before bed has long been a misunderstood topic. The biochemical bogeyman has scared many people into thinking that any food eaten at night will be automatically stored as body fat, since your body doesn&apos;t digest food while sleeping—or some nonsense like that. The opposite is true. Sleeping or awake, your body is well equipped to digest the food you eat. Research from Maastricht University, published in "Medicine and Science in Sports and Exercise," shows that nighttime eating is fair game for protein synthesis. 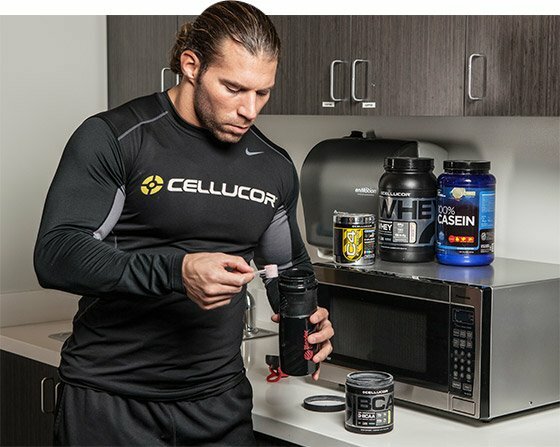 In this study, subjects took 40 grams of casein protein prior to sleep. Over the course of their slumber, protein synthesis was increased by 22 percent and nitrogen balance—a measure of the relationship between protein synthesis and protein breakdown—was improved. Put it into action: Load up that shaker bottle! This is especially a useful strategy if you can&apos;t squeeze in protein-rich meals every 4-5 hours during the day, due to the structure of your life. However, when adding this extra protein, make sure that you account for the extra 160-200 calories it will add to your diet. When we talk about boosting protein synthesis, we often just talk about eating—how much, what, and when. However, one of the most powerful stimulators of protein synthesis is exercise. "Hitting the gym can enhance protein synthesis for a day or more after you train." Hitting the gym can enhance protein synthesis for a day or more after you train. Your level of fitness plays a role in the strength of this effect, though. If you&apos;re a beginner, you can expect up to 36 hours of enhanced protein synthesis. A seasoned gym veteran isn&apos;t as lucky and will only experience enhanced protein synthesis for approximately 24 hours. Research also shows that the fitter you are, the more intense your training sessions need to be to get this effect. Put it into action: To maximize protein synthetic effect of exercise, design your exercise regimen so you can train with high frequency and intensity, particularly during phases when you are trying to add lean mass. The importance of alcohol was brought to my attention when I was having dinner with one of the world&apos;s top protein researchers. Our discussion centered on the effects of protein timing on protein synthesis, when toward the end of our dinner, he paused and said, "Mike, while protein timing is important, we need to consider lifestyle factors that negatively impact protein synthesis. All the wine we drank over dinner has easily negated the benefits of the protein timing that we put into action today." It makes sense, but it was still an eye-opener to hear this idea put so directly. A 2014 study published in the journal "PLoS ONE" showed that heavy drinking following intense exercise decreased protein synthesis by 37 percent. Having a whey protein shake after exercise, prior to drinking, managed to slightly dampen the alcohol induced reductions down to 24 percent. But it&apos;s no magic bullet. Put it into action: Sometimes, maximizing protein synthesis is all about preventing decreases in it. 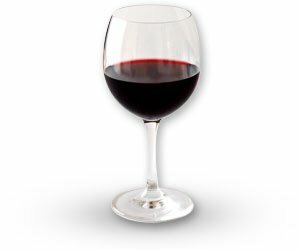 If you&apos;re going to drink, keep your consumption moderate, and keep it as far away from exercise as possible. You&apos;ve heard that cortisol and bodybuilders are archenemies. Even if cortisol isn&apos;t your friend, it definitely isn&apos;t the enemy you&apos;ve been led to fear!